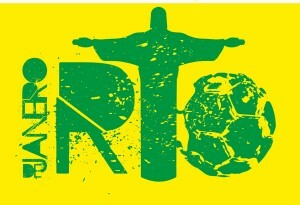 Its samba time again! The FIFA World cup has seen some amazing moments through its ages, which can make one feel unparalleled euphoria, and you could be rest assured that here at BW, we manage to pick out the best moments in which these football demigods manifest all that happiness, which they wait four years for. 1) After all, the celebration of that all important goal is what it comes down to after all that intense training and hard work, and boy have we seen some exhilarating as well as funny ones through the ages. We’re pretty upbeat about Rio 2014 producing some magical moments like these too! Enjoy! 3)FIFA TV launched this must watch video that encapsulates all those funny moments which are replayed all over the world time and time again, and loved by everyone! 4) Celebrations which have evolved just as the game has- and never before has there been such audacity in celebrating a goal like now, this video has some of the wackiest moves we’ve seen in a long time- featuring legendary celebrations like Peter crouch’s robot dance and the iconic Bebeto baby cradle celebration, which is still widely used by players. It also has some of the funniest dance moves we’ve seen footballers do, they might just put well choreographed troops to shame with moves like these! 5)Being drawn into group A this time around, which has host nation Brazil in the group as well, wouldn’t deter the mighty African team to put on its best show- and experienced warhorse Samuel Eto would want to lead from the front and show the world why he is Cameroon’s leading goal scorer and third most capped player. We bandars appreciated his sense of humour which he manifests via his celebration; watch this to know the best way to answer your critics- with performance laced with a smack of wit! 6) We always tend to turn a blind eye to that extra but all important man on the pitch- we’re talking about referees of course, these guys have it tougher than most people in those 90 minutes and more. This video will remind you that it’s impossible to be at the “blind spot” all the time, and make you laugh while it does so, we monkeys assure you that! 8) At Brasil, football isn’t just a game (a good analogy would be what cricket is to us in India), and a peek into this fan’s life would show you what we bandars mean when we say that brasil have the most passionate football fans in the world! P.S- we secretly want this guy to join our monkey crew as a sales representative. 9) WC 2014 already had its most iconic moment- where “Ronaldinho” stopped by the argentine base camp to pay his homage to arguably the world’s most talented player- Lionel Messi. 10) Fiction character Alan Partridge played by British comedian Steve Coogan certainly knows how to comment on a goal! 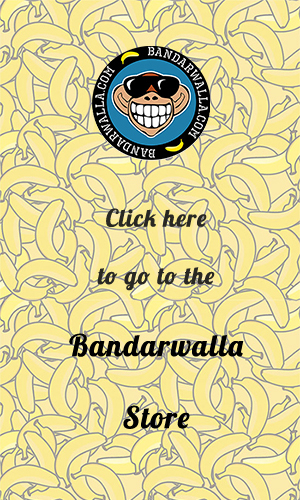 Hope you enjoyed these amazing world cup moments just like we did at Bandarwalla when we came up with this. Here’s hoping that the 2014 FIFA world cup produces some light magical moments like these too. A simple like or share would be enough for us know that you did! ← FIFA World Cup 2014-mind boggling facts and figures!